Rev Canon Teddy O’Sullivan PP is a native of Bantry parish in West Cork and was ordained for the Diocese of Cork and Ross in 1977. Teddy served in a number of different parishes in the diocese and administration in the Diocesan office. He spent six years on the Cork and Ross mission to Peru. 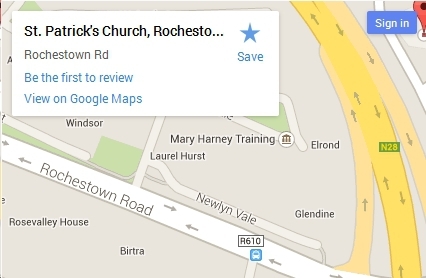 Teddy was appointed parish priest of Douglas/Rochestown in 2008. Rev Fr Pat O’Mahony SMA CC was born in Ballydehob, West Cork and was ordained for the Society of African Missions in 1979. Pat served in on the missions in Zambia in Africa and in different parishes in the Diocese. 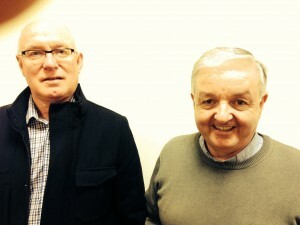 He joined Douglas/Rochestown parish in 2012 and is priest-in-charge of St Patrick’s Church, Rochestown. Rev Canon Liam O’Regan AP is a native of Kinsale Parish and was ordained in 1961 for the Diocese of Cork and Ross. Fr Liam has served in a number of different parishes in the Diocese and served as parish priest of Douglas/Rochestown from 1996 to 2008, when he retired. Fr Liam continues to play an important role in the parish and regularly celebrates mass in both churches.